The Portuguese have a very unique way of polishing wood and other type floors. You can notice it right away, deep, beautiful, rich and undulating polishing. The only way to get that result is by applying it by hand, such as the traditional maid (on the lid) did years ago. It's hard, we know, but it really gets the job done and there's absolutely no match! 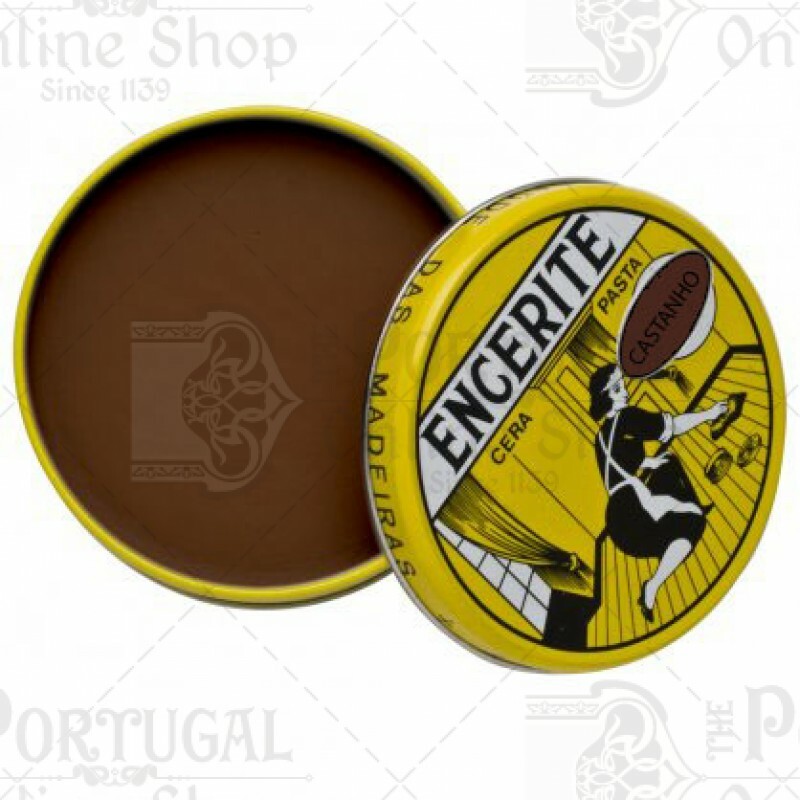 This traditional Portuguese product is absolutely amazing, and it's formula its the very same one since 1927, with world GOLD medal's won for it. Once you try it, there's no deny it! Available in 6 different colors: White (colorless), Yellow, Red, Brown, Black and the poetic Lavender. 250g Paste Tube - Pure wax for hand use in tube - Use it directly from the tube or as a recharge for an empty tin. IMPORTANT: Please don't forget to choose the correct colour you want, by using the options box at the top. Thank you! In flooring or any other straight surface - Apply the product with a cloth. Let it rest for about one or two hours. 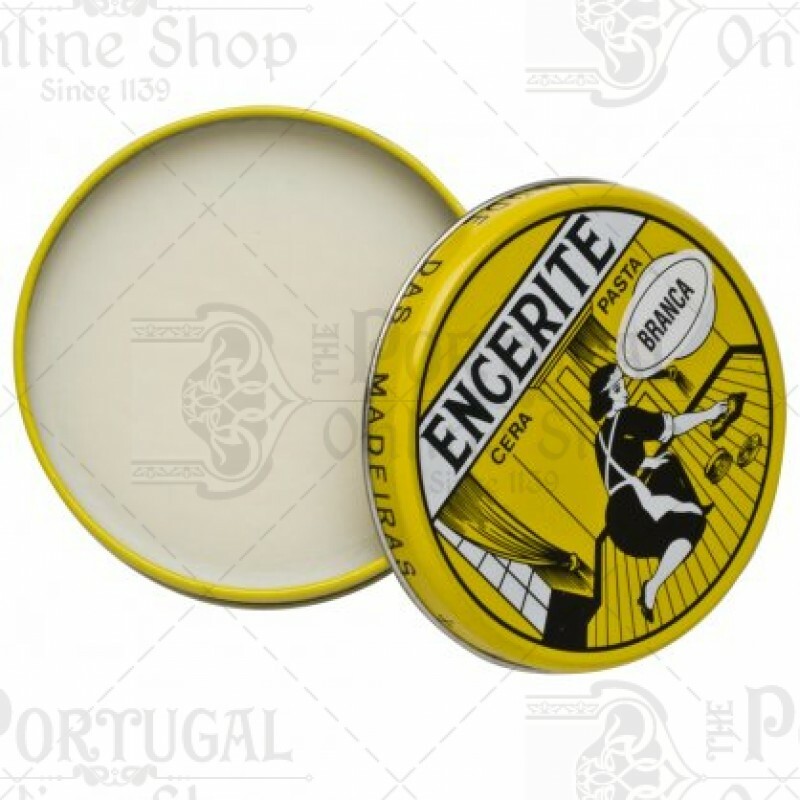 When Encerite is dry, polish with a dry cloth or waxer for a glossy and perfumed finish. For furniture, panels and small details - Apply with a soft brush. For best results, polish by hand with a dry wool cloth. It has been produced since 1927. Awarded with world Gold Medal at the Great Industrial Exhibitions of 1932 and 1933 for it's unique polishing properties. It's formula and traditional way of production was kept along the years, being 100% hand made. It is available in 6 different colors: White (colorless), Yellow, Red, Brown, Black and the poetic Lavender. 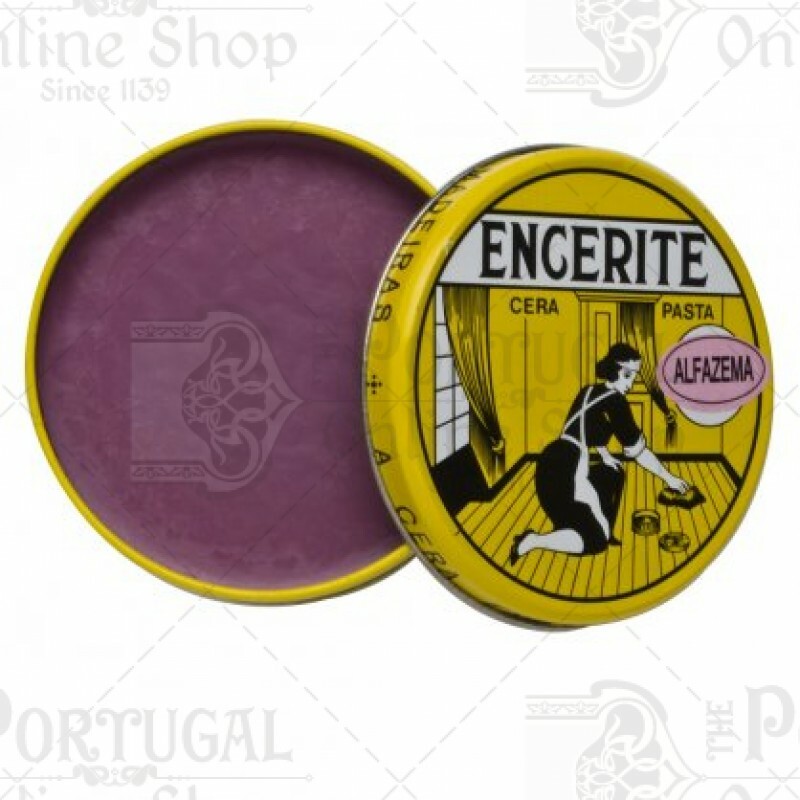 In the modern days, it has regain its rightful position as an high quality wax and polish for multiple surfaces and has been featured multiples times in television, from the unique products and also for they're traditional methods. At Encerite we felt privileged to observe how it is made and actually take part in the production, such as mixing colors. Just an amazing experience. 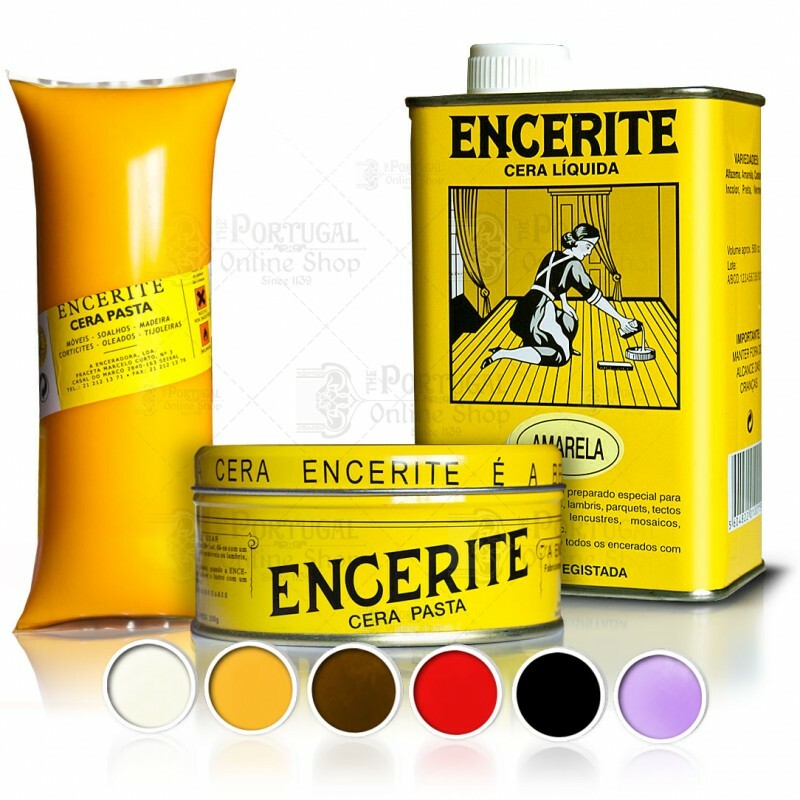 Luís Gonçalves, one of the brothers who own it shared some of its ingredients, such as 100% pure Portuguese Beeswax, and Carnauba wax. 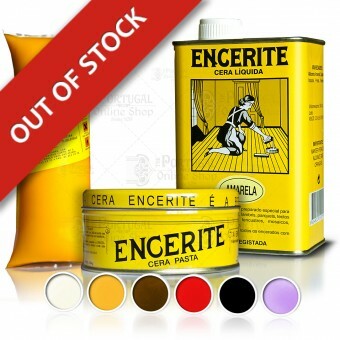 We have complete line of Encerite product for sale, from hard wax, liquid wax for easier appliance, acrylic wax, and high quality cedar wood oils. The wax creates a nice sheen on untreated wood as well on wood with finish. 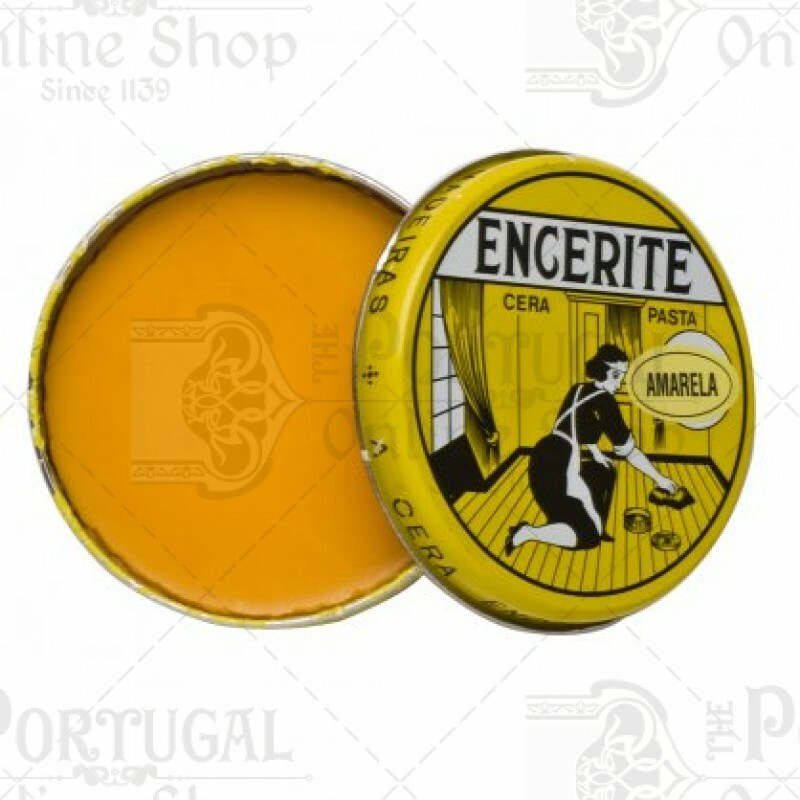 Very good wax, made an amazing work on furniture. Leaves a nice shine. Very good wax, little work but result is amazing.